if you created in SSRS. deploy in crm. open the report and press F11. 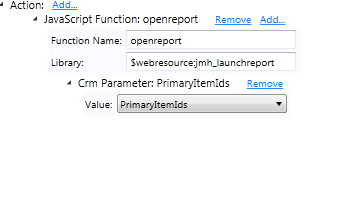 chage the id parameter with your Report guid. create a web resource and put this code as jscript.